The engine realizes high efficiency even though it is light and compact, It realizes high environmental and loading performance and fuel efficiency, and significantly contributes to a reduction in transportation costs. GVW 8 ton to 14.5 ton class trucks achieved a ~10% improvement over the 2015 fuel economy standards for heavy vehicles in Japan. This feature will boost the environmental performance, loading capacity, and fuel efficiency in various business situations. The Condor engine has an advanced system to control high pressure fuel injection and its pressure, timing and volume. 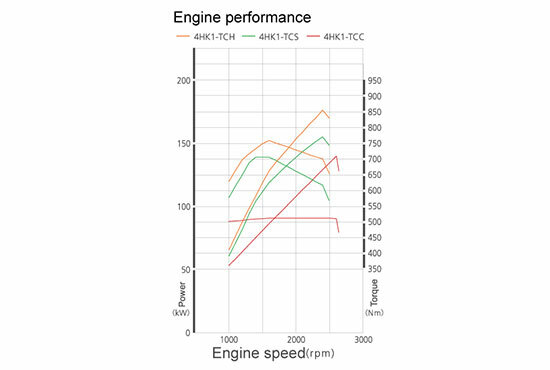 The VGS turbo* (variable volume type turbocharger), which can produce a turbo effect at low rotation speeds, will increase low-speed torque, improve acceleration, and reduce fuel consumption. When the vehicle has stopped (for example while waiting at a traffic light), the engine stops and restarts automatically. 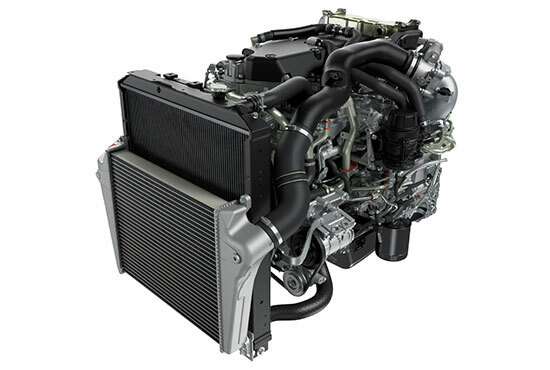 It contributes to the suppression of wasteful fuel consumption and a reduction of exhaust emissions. Also during Eco stop, the cold storage evaporator built in the air conditioning unit cools the air blown from the air conditioner to suppress a rise in the blow-off temperature. * Option for refrigerated vehicles and fire engines, it is not available for concrete mixer trucks. 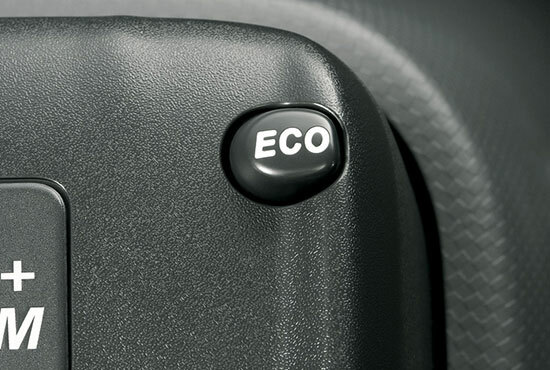 The “ECONO mode” which performs fuel-saving automatic gear shifting, provides comfortable operability and fuel-saving for all drivers.